Product categories of Kraft Paper Bags, we are specialized manufacturers from China, Kraft Paper Bags, Kraft Paper Bag suppliers/factory, wholesale high-quality products of Kraft Gift Bags R & D and manufacturing, we have the perfect after-sales service and technical support. Look forward to your cooperation! 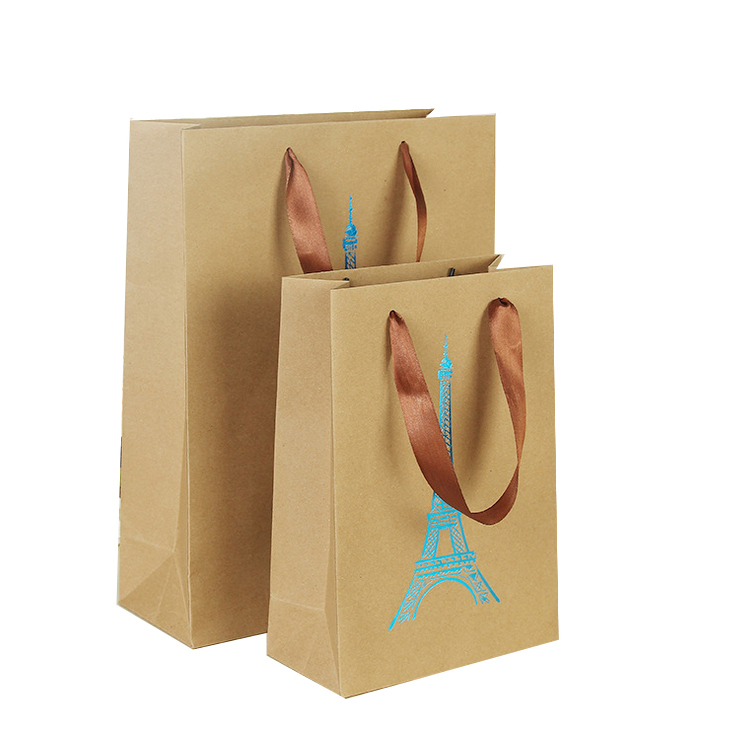 The Kraft Paper Bag are always made from white or brown color Kraft paper. The Kraft bags are always made by machine, to make them very fastness & lowest cost, widely used in daily life. The white Kraft paper can be always printed with CMYK/pantone colors, which makes them very good looking. And the brown Kraft paper background is deeper, more suitable for printing dark text and pattern. The Kraft Paper Bags is always with adhesive handles which is more convenient to produce by the machine.